If you follow The Venture Bros., you know who this guy is. 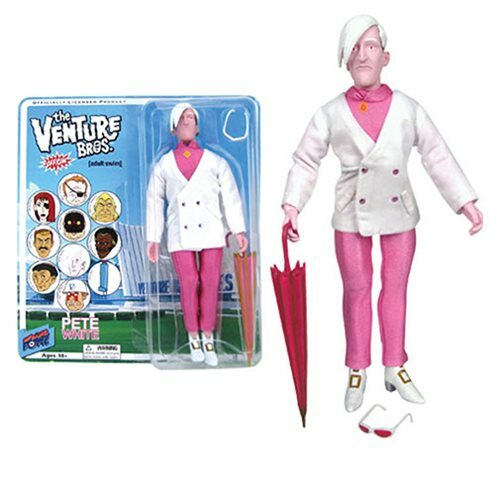 Pete White is wearing white (naturally) and some pink in this slick action figure that comes with removable umbrella and sunglasses accessories. The somewhat less than industrious albino computer scientist looks rather sophisticated and debonair, does he not?